The constant evolution of citizen science in recent years- where the participation of citizens in scientific projects is applied with the use of information technologies- has been able to solve different problems in different areas of knowledge. In the same way, when we deal with the issue of agriculture, together with the support of information technologies, these are applied to increase productivity, automate processes and train farmers to make decisions. There are different processes in agriculture that can be implemented with ICT solutions. 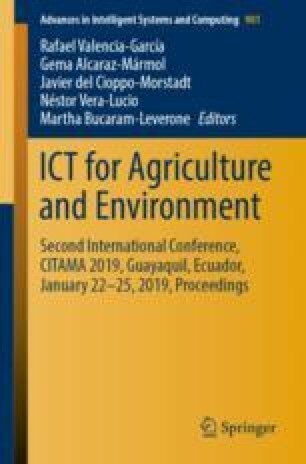 This work is focused on carrying out a process of systematic mapping of research which will include a search, study selection, analysis and identification of potential relationships on citizen science in agriculture through ICTs. With the application of systematic mapping, the frequency of indexed publications that has existed on this topic will be evaluated, since no statistical studies on citizen science have been found that account for the number of existing projects on agriculture and technology.